New Zealand Warriors Faither Supporters : Cappy: Have the Fans Been too Harsh? Cappy: Have the Fans Been too Harsh? Plenty have called for his head but have those calls been warranted? Have the fans brought out the pitch forks and called for the axe to swing a little early? While a coach inevitably sinks or swims based purely on the results of the team, it's often a case where things don't always seem as black and white as they appear. Let's not forget, that as far as "learning your trade" is concerned, i think all fans, likely the man himself, would admit that Cappy was given the reigns to this squad a little under done. It's no secret that the best are taught by the best, Craig Bellamy being Wayne Bennett's understudy between 1995-2002 being the prime example. Straight from his apprenticeship Bellamy sucessfully took over the Storm outfit in 2003, a team that boasted the likes of Bai, Bell, Friend, Geyer, Hill, Hoffman, Howe, Johnson, Kaufusi, Kearney, Kearns, Kidwell, King, Orford, Ross, Slater, and C. Smith. Not a bad side to walk straight into, right? Do we honestly think that Cappy has been afforded the same luxuries with coaching mentors and then being able to have a superstar playing roster to boot when he took over as head coach? If we take a look back to Cappy's time as assistant coach, both with the Warriors and also the Raiders, it's fair to say that the club threw him in the deep end while he wasn't ready to swim and we've collectively stood back asking each other "Why is he drowning?" 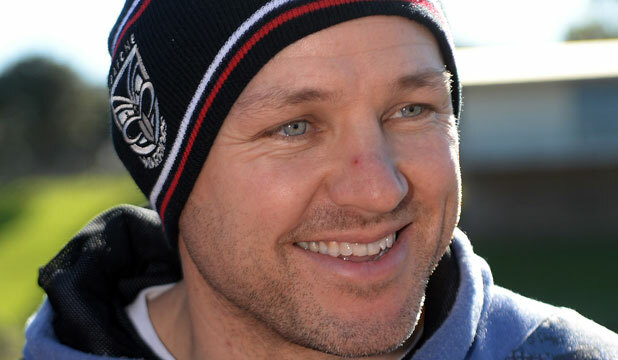 McFadden spent 3 years under David Furner as assistant coach in Canberra, in that time Furner only had a winning record of 43%. He was then appointed assistant with the Warriors when Elliott took over, a man with a winning record of 44% both with the club and over his entire NRL coaching career, not exactly the best in the business to be learning from, is it? When Cappy was eventually given the keys to the kingdom and replaced the departing Elliott as head coach, he was essentially taking over another man's team. All coaches will tell you that they would prefer to work with a bunch of players they've hand picked themselves as opposed to "hand me downs" from their predecessor, especially when the roster is light weight in both depth and talent to begin with. After missing the finals the previous season under Elliott and after a somewhat sluggish start to the 2014 season under the same coach, Cappy did a commendable job once taking over the squad with the playing group he had at his disposal, winning 10 of the remaining 19 games (52.5%). The side missed out on the 8 only due to "For and Against" which can either be blamed on the poor start under Elliott at the beginning of the season or the horror last month, which saw the club win only 1 game from their last 4. Either way, from the way we were playing early season under Elliott we didn't look like we'd get anywhere near the 8, so for Cappy to get as close as he did only to come up short on +/- is a stellar effort. 2015 looked set to be the year the NZ Warriors were back playing Finals Footy although as history reminds us it wasn't to be. The major factor to again missing out on the finals was due to a horror injury toll that eventually brought the team to it's knees. 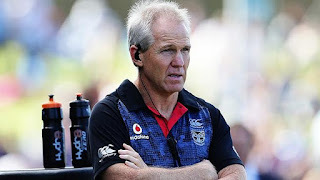 With the calibre of players who spent extended periods on the sidelines throughout the year including; Tommy Leuluai, Manu Vatuvei, Sam Rapira, Glen Fisiiahi, Ben Henry, Ngani Laumape, David Fusitua, Ryan Hoffman and Sam Tomkins, is it a suprise that strecthing the depth this far things will inevitably begin to unravel? Then you add Shaun Johnson's injury, Chad Townsend playing with not only injury due to the lack of troops but also a pre-occupied mind, then you've got the mid season release of Matagi as well as a struggling Konrad just for good measure. The fact we were so high up for so long should be applauded instead of being frowned upon for falling away in the back end of the season. When a team is missing as much talent as the Warriors were forced to endure throughout the season, even the best coaches would struggle to get the team up enough to not go out with a whimper. With the new signings coming to the club in 2016 everyone thought the glory days were upon us. What we neglected to take into consideration was that like us, the players are merely human. 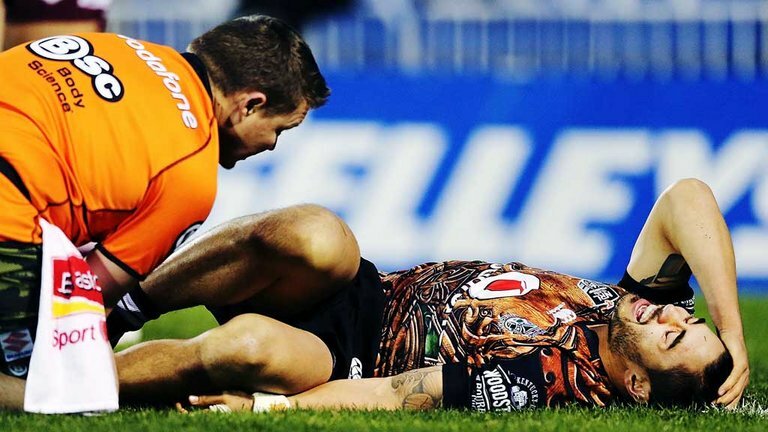 SJ was always going to take some time to get over the mental demons of his serious leg injury, Luke was pre-occupied mentally with family health concerns, RTS was coming from a well oiled machine who'd won the last 3 minor premierships as well as a premiership in that time, new combinations were being forged within the spine as well as on the edges and the most important thing that was over looked, that like winning, losing can become a habit which is exactly the predicament we found ourselves in to begin the year. Why is it that it takes a "player meeting" for the protocols, set plays and game plans to become effective? Those weren't changed and then learnt by the team over night, they were all already in place. Does that not suggest that Cappy is in fact heading in the right direction when his instructions are actually followed by his players? Is there still this "player power" within the club that is slowly being taken back by a coach and administration team who have the balls to make the hard calls and remind those playing in the squad they are not in control and will not dictate terms anymore as has been the case in previous seasons? As was mentioned in the beginning of this article, a coach will live and die based purely on results. I'm not one that normally likes to consider "what if's" and "could've been's", but looking back over the last 2 and a bit seasons under Cappy and to take all things into consideration and understand we only missed out on the 8 due to +/- in his rookie year, a second year injury toll from hell that even the best of coaches would have struggled to stop derailing the season, even after flying high in the Top 4, and a shakey start to 2016 that now looks to be rectified, is it fair we dish out so much criticism toward him? With a current career winning ratio of 46% (2014 - 53%, 2015 - 37.5%, 2016 - 50%) and a relatively friendly run home for the Warriors in which they should get 4-6 wins along the way, Cappy could well finish the season off as our 2nd most successful coach as far as winning ratios are concerned (behind only Daniel Anderson and bettering the Fans Golden Child - Ivan Cleary). Do we still want him gone if that's the case? 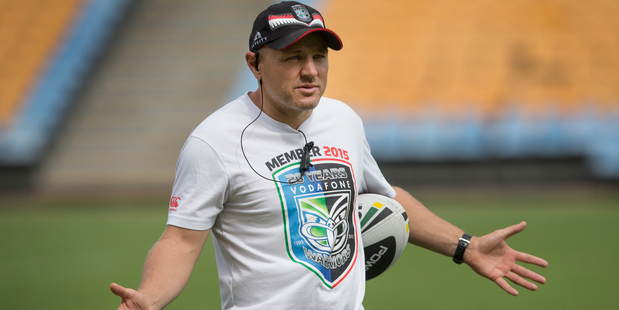 Or will it take a premiership, a feat no other Warriors coach has been able to achieve, to silence the critics?